Thank you – and congratulations! Supporting CMI’s peacemaking efforts is a wise investment. Share the #worstjokeintheworld and challenge your friends to make room for women at peace negotiation tables.  We will send you news and information about our upcoming events. The newsletter subscription requires processing your personal data. Please read more on how the data is used in our data privacy agreement. I allow my data to be processed. Yes, I want to receive information about CMI’s work and campaigns. population. 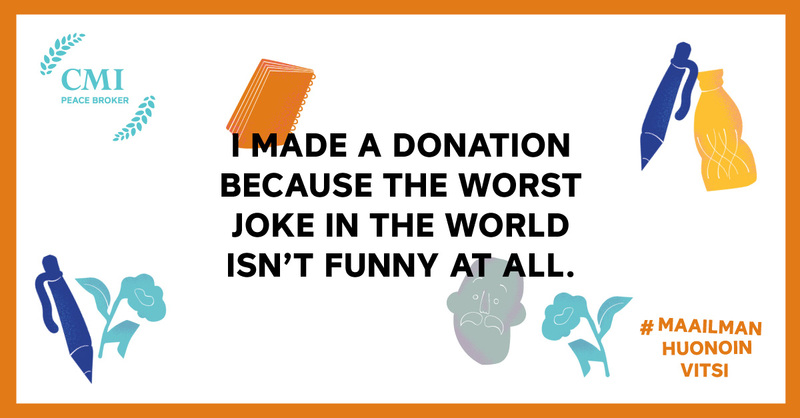 It’s the worst joke in the world. Fundraising permit number RA/2017/1104. The permit is valid from 1 December 2017 to 30 November 2019 in Finland, exluding Åland Islands. The funds will be used during 2018-2019 for CMI’s conflict resolution work. 1. MobilePay is an app you can download from App Store, Google Play or Windows Store. 2. Choose any amount you want to donate and send it to CMI’s donation number: + 358 40 905 2819. 3. You will receive a confirmation once we have received your donation. You can make a 10 euro donation by sending an SMS. This works only in Finland, with Finnish operators. 3. You will receive a confirmation message once we have received your donation. You can support our work with any chosen amount via a bank transfer. Achieving peace starts by all parties sitting down at the same table. It makes a big difference who has a seat at the table – and who doesn’t. Conflicts affect everyone, regardless of gender. That’s why it’s hard to come up with a worse joke than there being more ball-point pens on the negotiating table than women around it. Peace is more sustainable when a wide variety of people, representing different parties and stakeholders, have been involved in the process. Supporting peace pays off. Global military costs add up to approximately 4 billion euros daily, while one round of CMI’s peace negotiations costs only 40,000 euros. 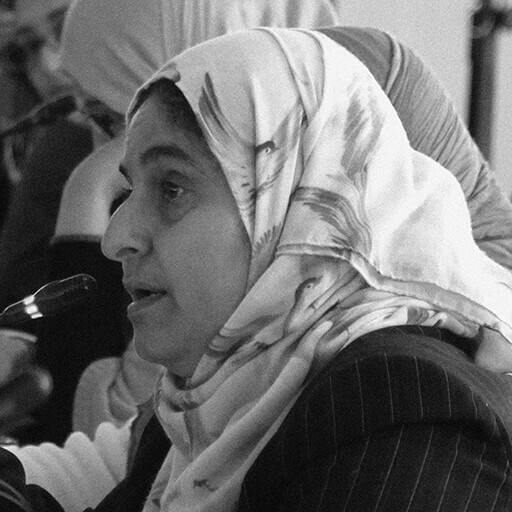 By supporting CMI, you also support women’s participation in peace processes. 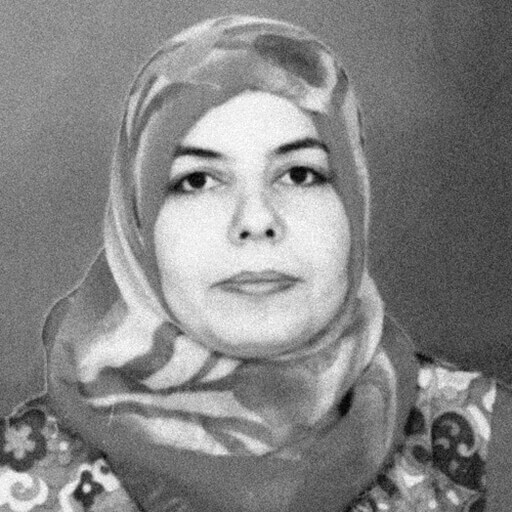 CMI aims to increase the number of women participating in peace processes to at least 30 percent. Make room for women at the peace table – share the worst joke in the world. 1. Conflicts affect everyone, but only very few get their voices heard in peace processes. 2. Peace processes are critical junctures in which the future social and political systems are defined. 3. Only 4 percent of the signatories in peace processes are women, even though they account for half of the world’s population. 4. 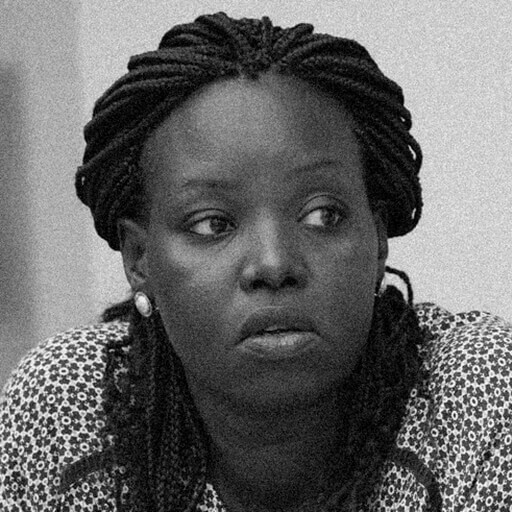 While women’s participation in peace processes increases chances for sustainable peace, only 8 percent of the negotiators are female. Share the joke with others, although it isn’t funny at all. The reason is simple: we’re talking about world peace, after all. 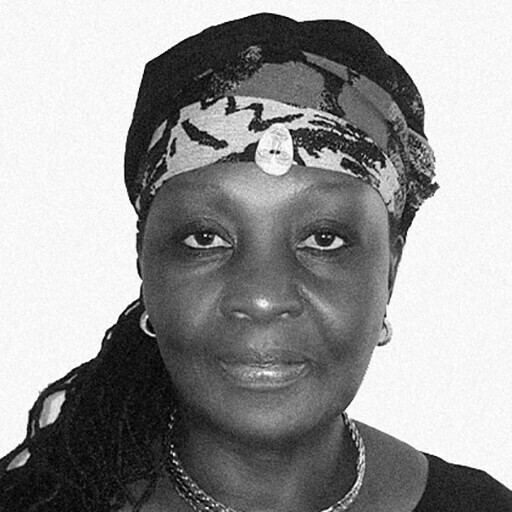 Besides getting more actual seats at the peace tables, a cultural change and new ideas are needed to increase women’s participation in peace processes. Of course, more female experts are needed as well. CMI collaborates closely with a variety of local NGO’s and women’s organizations in the conflict zones. Below you can read about some of these female forerunners and their thoughts about peacemaking and it’s future. The Crisis Management Initiative (CMI) is an independent Finnish organisation that works to prevent and resolve violent conflicts through informal dialogue and mediation. 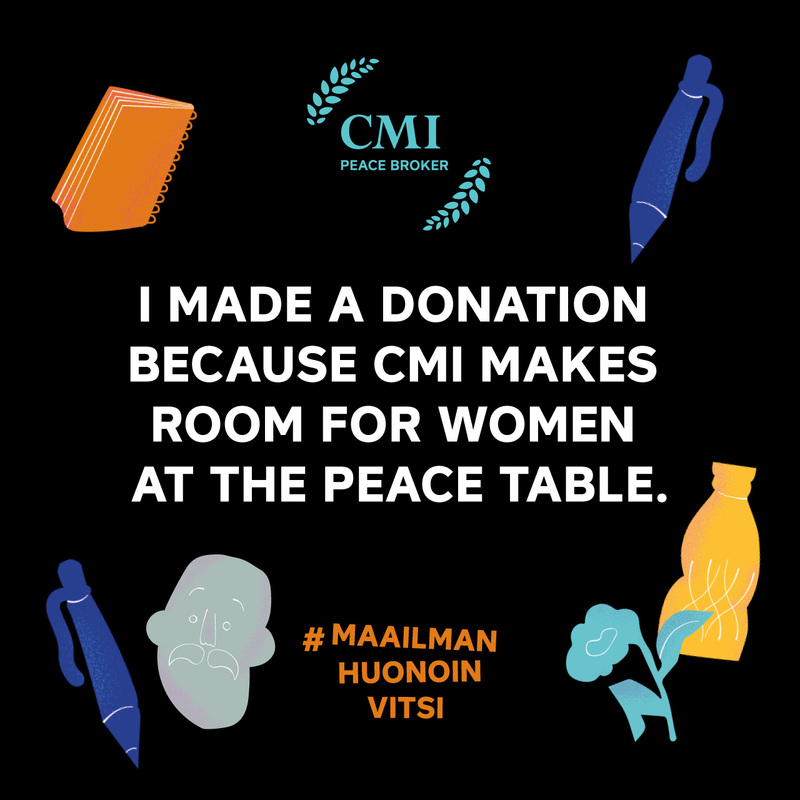 Nobel Peace laureate and former President of Finland Martti Ahtisaari founded CMI in 2000. Since then, our organisation has grown to become one of the leaders in its field. Peace negotiations are found to be the most efficient way to resolve conflicts. 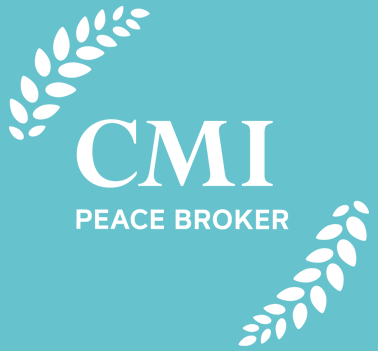 The goal of CMI is to create spaces for negotiated solutions of violent conflicts by involving all relevant actors in the pursuit of sustainable peace. CMI also places a strong emphasis on ensuring that women have active roles in conflict management and peace processes. Our work is based on expertise and independence. CMI is known internationally as a trusted actor, whose work is not connected to the political interests of great powers. Finland has a long history of violent conflicts, as well as resolving them. CMI is a vital part of the tradition of peacemaking in Finland. As one of the most equal countries in the world, we can take the lead in building a sustainable peace through including a wide variety of groups at the negotiating table. Help us make room for women at peace tables. 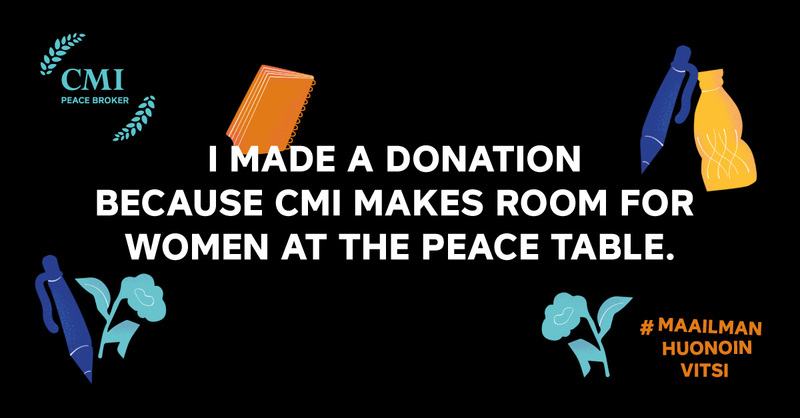 Even a small donation will help CMI to continue it’s important work for world peace and equality. Our humble wish is that individuals and companies share the campaign to each other and political decision makers. Those donating more than 1,000 euros can provide their logo/name to be posted on this page, and those donating more than 5,000 euros can provide their logo/photo and a short text. For those donating 10,000 euros or more, CMI will provide additional visibility and invitations to their events in 2018. For those donating a full peace negotiation round of 40,000 euros, we will provide tailored solutions. We believe that diversity and showing a willingness to listen make a difference in the world. 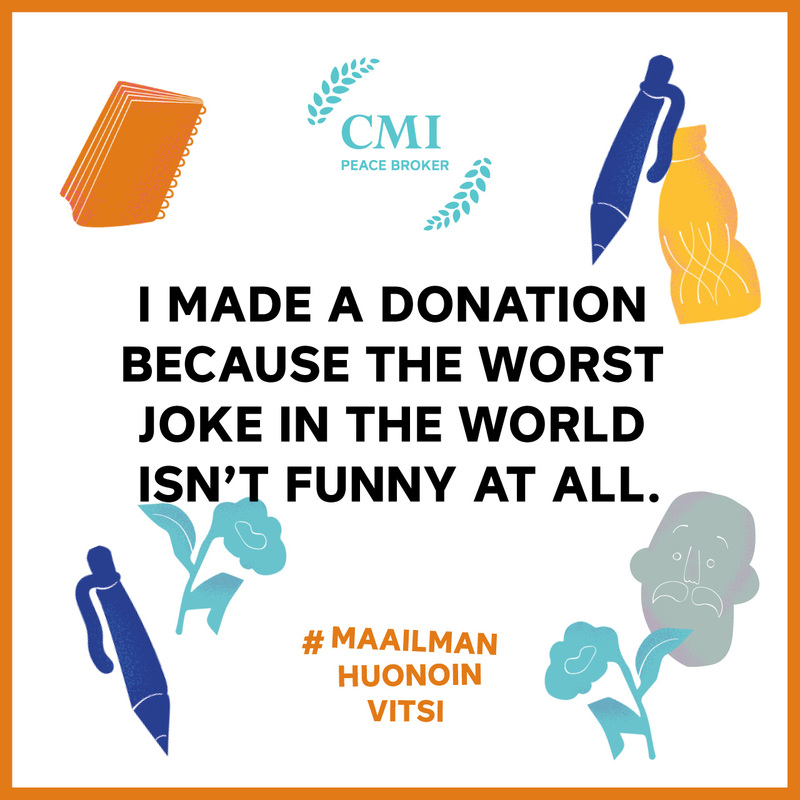 Wärtsilä is proud to support CMI’s latest “The worst joke in the world” campaign, and CMI’s global work for peace. Diversity and equality are important themes for Wärtsilä and the partnership with CMI helps to improve these socially and economically important issues. We know that empowering women to be entrepreneurs and leaders have positive impact on the community growth, prosperity and sustainability of communities. Therefore, we collaborate with hundreds of organizations around the world to develop and support empowerment programs that help create more opportunities for women – including peace talks. We are proud to support CMI’s international work in solving global crises. Make room for all parties at peace negotiation tables!